are happier, and better able to reach their goals. producing a number of measurable effects on various biological systems. where you actively write down what you’re grateful for each day. 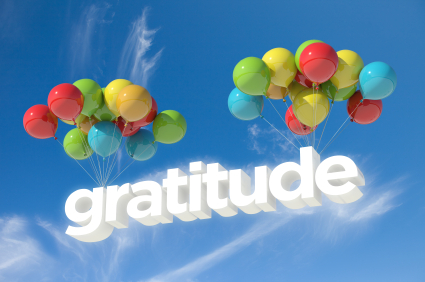 As noted in a previous article on this topic published in the Harvard Mental Health Letter,1 "expressing thanks may be one of the simplest ways to feel better:"
"The word gratitude is derived from the Latin word gratia, which means grace, graciousness, or gratefulness (depending on the context). In some ways gratitude encompasses all of these meanings. 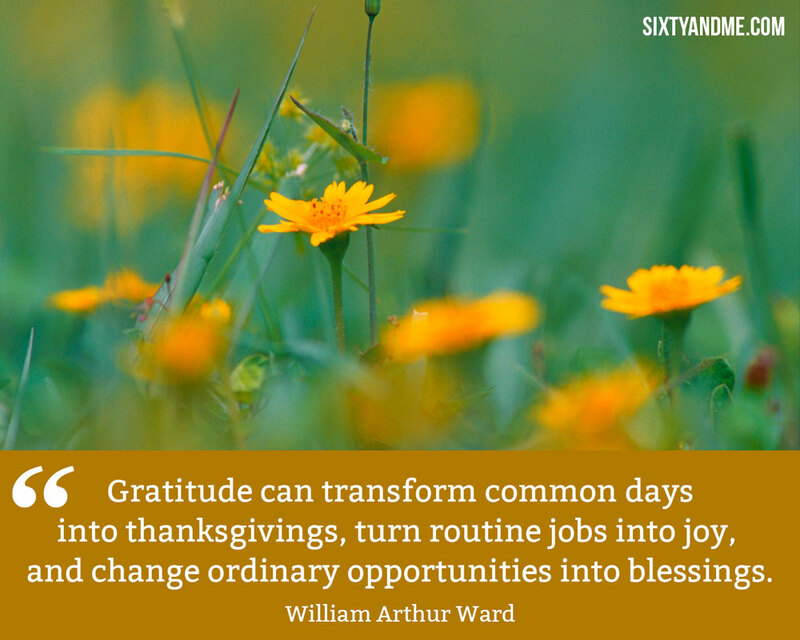 Gratitude is a thankful appreciation for what an individual receives, whether tangible or intangible. 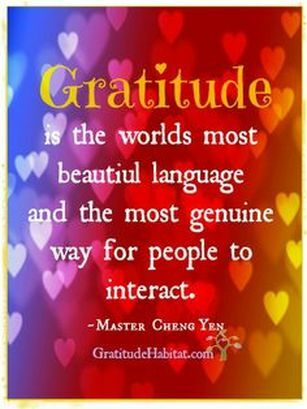 ...People feel and express gratitude in multiple ways. 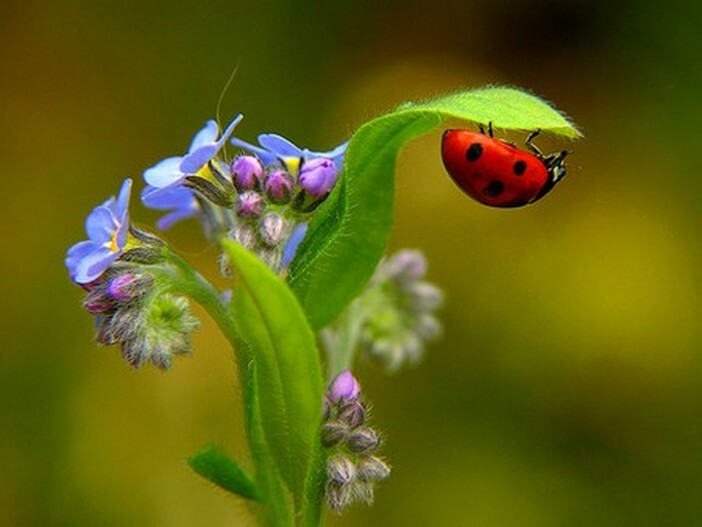 They can apply it to the past (retrieving positive memories and being thankful for elements of childhood or past blessings), the present (not taking good fortune for granted as it comes), and the future (maintaining a hopeful and optimistic attitude). Regardless of the inherent or current level of someone's gratitude, it's a quality that individuals can successfully cultivate further." One way to harness the positive power of gratitude is to keep a gratitude journal or list, where you actively write down exactly what you're grateful for each day. In one study,3, 4 people who kept a gratitude journal reported exercising more, and they had fewer visits to the doctor compared to those who focused on sources of aggravation. Cultivating a sense of gratitude will help you refocus your attention toward what's good and right in your life, rather than dwelling on the negatives and all the things you may feel are lacking. Mindfulness meditation: Practicing "mindfulness" means that you're actively paying attention to the moment you're in right now. A mantra is sometimes used to help maintain focus, but you can also focus on something that you're grateful for, such as a pleasant smell, a cool breeze, or a lovely memory. In 2012, 14 winning research projects were announced, with topics covering everything from the neuroscience of gratitude, to the role of gratitude for the prevention of bullying. The organization has a number of resources you can peruse at your leisure, including The Science of Happiness blog and newsletter,7 and a Digital Gratitude Journal,8 where you can record and share the things you're grateful for. 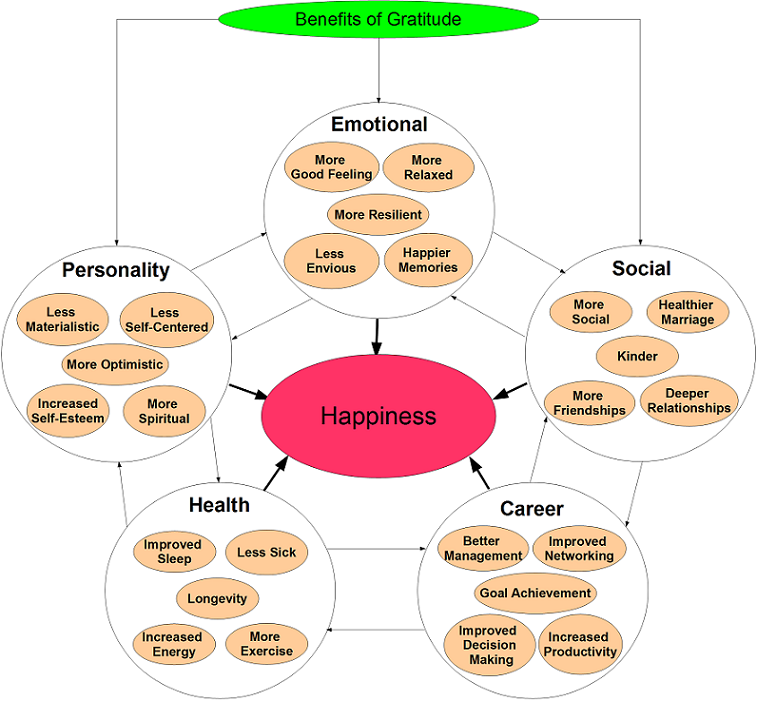 Scientists are also permitted to use the data to explore "causes, effects, and meaning of gratitude." For example, previous research has shown that employees whose managers say "thank you" feel greater motivation at work, and work harder than peers who do not hear those "magic words." As noted in a previous Thanksgiving blog post in Mark's Daily Apple:9 "[R]esearch10 has shown that being on the receiving end of a person's gratitude can boost subjects' sense of self-worth and/or self-efficacy. It also appears to encourage participants to further help the person who offered the gratitude but also another, unrelated person in an unconscious 'pay it forward' kind of connection." Be thankful for what you have. When life gives you a 100 reasons to cry, remember the 1,000 reasons you have to smile. Face your past without regret; prepare for the future without fear; focus on what's good right now, in the present moment, and practice gratitude. Remember to say "thank you"—to yourself, the Universe, and others. It's wonderful to see a person smile, and even more wonderful knowing that you are the reason behind it! Continuing in this stream of awareness, Dr Emoto began to study the impact of altering water by various factors of vibration and consciousness. He studied water that had been altered by music - healing music, classical music, heavy metal music - and so forth. And the crystalline pictures reveal how water responds to these influences ... into complex arrangements of crystalline beauty. This begins to reveal that water is alive - it is conscious and responds to applied force by a rearrangement of its inner crystalline properties. Inspired by these revelations, he decided to study the impact of human consciousness on water and its crystalline order. Through repeatable experiments Dr. Emoto demonstrated that human thoughts and emotions can alter the molecular structure of water. Now, for the first time, there is physical evidence that the power of our thoughts can change the world within and around us. He found that water that had been consciously altered by the simple imprinting of a word of intent upon the water would change. Water that was imprinted by love, gratitude, and appreciation, responded by the development of complex beauty, and water that was mistreated by negative intentions became disordered and lost its magnificent patterning. In fact, it often took on grotesque forms of resonance. This experiment was repeated many times over with the same result. The researcher then exposed water samples to different types of music. Classical music always reflected beautiful patterns, (photo 4) whereas heavy metal or rock and roll created distorted, formless, smudged images, (photo 5) as if these types of music had destroyed the delicate equilibrium of the molecules. He continued experimenting, this time by writing words on pieces of paper and taping them to a clear glass container to see if anything happened. He tried using positive words like "Love" and "Thank you" (photo 6) and every time noticed a beautiful and delicate crystalline pattern. He tried "You Make Me Sick. I Will Kill You" (photo 7) and each time observed distorted, frightening, muddied patterns. He even experimented with names like "Gandhi" "Mother Teresa" (photo 8) and "Hitler" (photo 9) and the same kind of results occurred.